With 6 years of experience in photoshop and image editing I will take your pictures to the next level. Services Include: -Professional image editing, image enhancements, portrait retouching, teeth whitening , and improve skin complexion. -Remove Background (white/transparent), unwanted objects, logo, tattoos, watermarks, wrinkles, pimples, blemishes, imperfections, and noise. -Restore Old and damaged photo,and colorization of BW pic. -Photo manipulation includes lighting adjustments, lens correction, exposure/color correction, weight reduction, reshaping, and breast enhancements. and MUCH MORE! Pricing: -Professional work, removals, and photo manipulations are $5 per image. 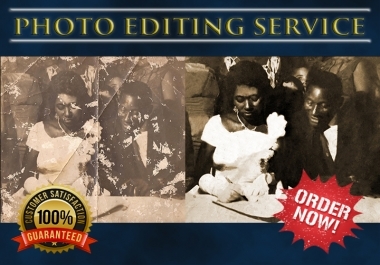 -Restorations are $10 per image. -Photos requiring a high levels of work, for example multiple professional jobs and removals are $10 per image. If you need something that is not listed above or just need further clarification don't hesitate to contact me, I will get back to you asap. Welcome to my photo processing service where i will improve the look of your product which will increase sales on your e-store. 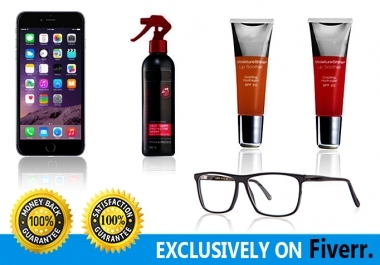 I will do professionally edit and enhance 3 product photos for $5. My services include: -REFLECTIONS -SHADOWS -COLOR CHANGES -TOUCH UPS -ENHANCEMENT -BACKGROUND REMOVAL -RESIZE PHOTOS FOR AMAZON/EBAY You name it, I do it. File are delivered in JPEG and PNG.